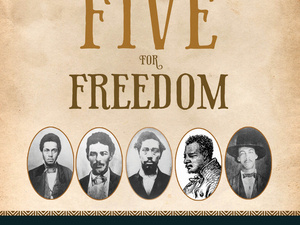 Award-winning journalist, author and historian Eugene L. Meyer discusses the five African American men, including two from Oberlin, who joined John Brown in 1859, and paid the ultimate price for their participation. Meyer conveys how John Copeland and Lewis Leary came to join Brown, the events of that fateful day, and how the African American participants were treated differently both at the time and by historians. The program and book signing that follows is hosted by the Oberlin Heritage Center and supported in part by a grant from the Community Foundation of Lorain County.